Sometimes the only thing better than cranking turns on perfectly groomed trails, floating through dry powder or skiing amongst the trees is adding your favourite soundtrack to the experience. Having just spent the last few weeks researching the headphones for my next ski adventure I wanted to share my learnings and a shortlist of brands and models for you to consider. I hope this helps you in your decision-making process when looking for a new pair of headphones. I’m lucky enough to average 4-6 weeks a year. However, this does mean that about 90% of my year is not spent on a ski holiday, so I need to make sure that a new pair of headphones was the best choice year-round. Not just for my ski trip. Off-season: 90%+ of the year that I am not skiing. This added a decision dilemma for me, as I didn’t really want to buy a new pair of headphones exclusively for my on-the-mountain time, which is only about 10% of my year, but also suitable year-round. Additionally, as headphones come in three core types: In-ear, on-ear or over-ear. I wanted to find the right headphone type that best suited the three of the criteria that I mentioned above. My #1 criteria for road trips and any kind of transit is noise cancelling. The technological advancements the past few years in noise-cancelling headphones is impressive. Great noise cancelling means that I don’t have go full volume to hear my music as it competes with the sounds of jet engines or train stop announcements. Additionally, I also like the ability to turn off noise cancelling so that I still engage in conversation and also enjoy some ambient background sounds of café’s and streets that add to the atmosphere of travel, and hopefully not get run over from passing traffic or miss my boarding call (again). Also, when I’m home I really don’t need or want noise-cancelling functionality. Definitely go wireless. I didn’t think that getting wireless headphones was such a big advantage until I experienced it. I totally get it now. Massive fan. My short list so far includes noise cancelling headphones, that also work wirelessly, and provide the option to turn noise cancelling on & off. When it comes to music on the mountain, in-ear headphones are really the only choice. They fit easily under my beanie, or headband if I’m rolling my 1980’s ski wardrobe look, and if you do wear a helmet, you really have no other choice. This rules out any of on-ear and over-ear headphones. This is also where going wireless is the best choice. No wires mean total freedom of movement. Regarding noise cancelling, personally, I’m not a fan of noise cancelling on the mountain. I like to engage at some level with my surroundings, from background sounds, to banter on the chairlift, hearing the snow under my skis and hearing screams of warning of the random out-of-control skiers or boarders that may cross my path. Considering when, where and how I will use my headphones when I’m not on ski holidays become more important as I realised this was 90% of my year. And that I want my headphones to last at least 3 years before I break, lose or upgrade them. Possible also a pair of on-ear or over-ear headphones for my road trips and offseason. 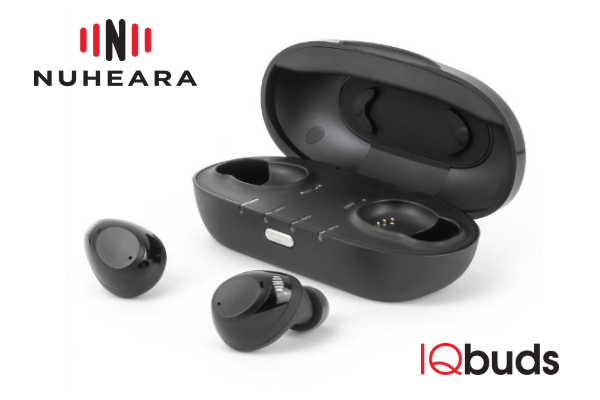 In 2016 Nuheara launched their wireless earbuds, IQbuds. They are seriously impressive. From all the pairs I have shortlisted, and tested, they boast the best battery life, 20hrs. That is up to 7 times longer than other pairs I tried. The IQBuds are a high-end pair of wireless earbuds that come pre-programmed audio options such as ‘plane’, ‘restaurant’ and ‘home’. A simple touch on the earbud and this changes the audio settings very easily and smoothly. Like all of the in-ear models I shortlisted they come with a rechargeable carry-case. 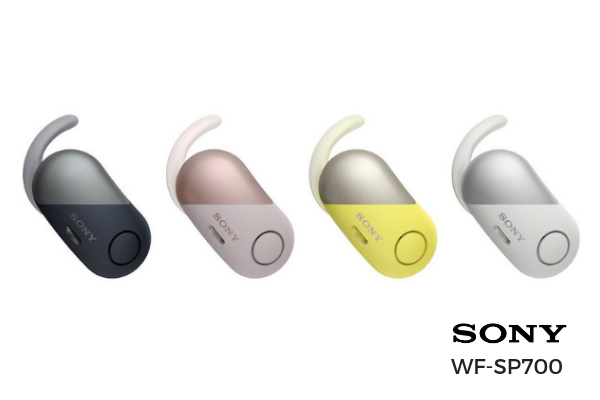 I shortlisted Sony’s wide range of offerings to two wireless in-ear options, the SP900 and the SP700. Both models come with a compact charging case, which is really valuable as they only have a 3hr battery life. Like a portable battery that you use to recharge your mobile on the run, this carry case will give you two more recharges out the before the headphones need a full recharge. Both models also enable you to customise your audio settings via the Sony Connect App, which is downloadable for both iPhone and Android. The SP900 connects to your smartphone via Bluetooth connection, and you can also operate the SP900 without any devices you can store music within the headphones 4GB onboard memory. That’s approximate 920 songs. The SP900 is fully waterproof and with an IPX5/8 rating. This may come in handy for the unplanned face-plants that we may encounter or for us Australian’s who do enduring skiing in the rain. Whilst the SP900 is completed waterproof, the SP700 is water resistant and does not have any onboard memory. So you will still need to connect to your smartphone. They also work with Google Assistant can help you get things done, listen to music, hear your incoming messages, make calls, etc. They were available in 4 colours. 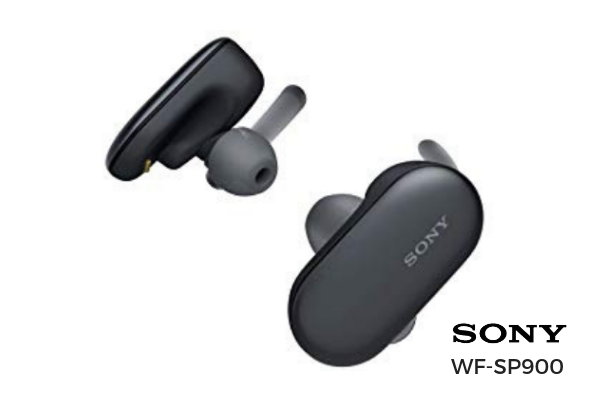 For more information on these headphones visit SONY website. Sennheiser has a huge range of headphones. I selected two in-ear wireless headphones. The CX5 and the Momentum True Wireless. 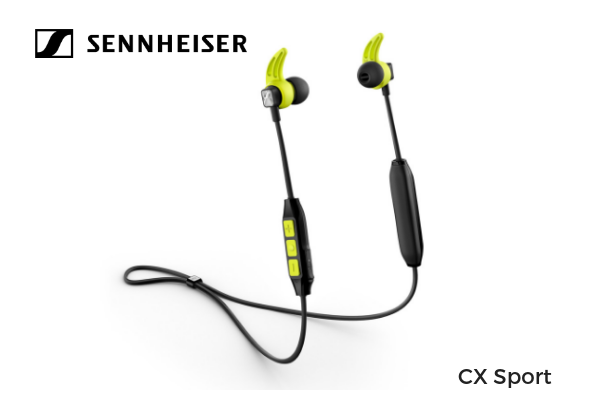 The CX SPORT is their dedicated sports in-ear wireless headset. This is an in-ear wireless model that is both sweat and splash proof so would be perfect for use on the slopes. It also has a selection of four sizes of ear tips and three different fin sizes to make sure they stay secure in your ears. They offer good battery life, six-hours, and come with a three-button remote that allows you to manage music and calls. The neck lease is pretty cool and gives me extra confidence that I won’t lose them during wipe-outs. 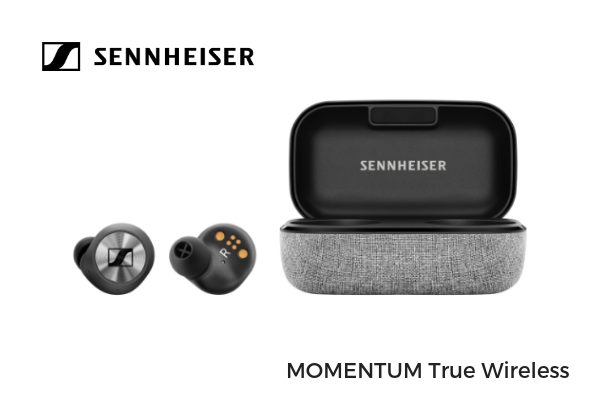 MOMENTUM True Wireless – this is a newly released product (Nov 2018) from Sennheiser. It also includes advanced features like voice assistant interaction with Siri and Google Assistant, transparent hearing and an effortlessly intuitive touch operation. The sound quality of these is fantastic and they also fit really securely and comfortably. The battery life is 4 hours and they come with a compact charging case that lets you recharge the headphones twice, giving you 12-hours of music before you need a full recharge. 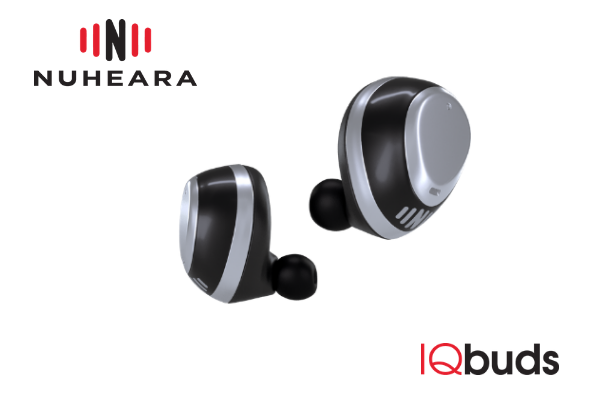 Nuheara only produces wireless in-ear headphones. 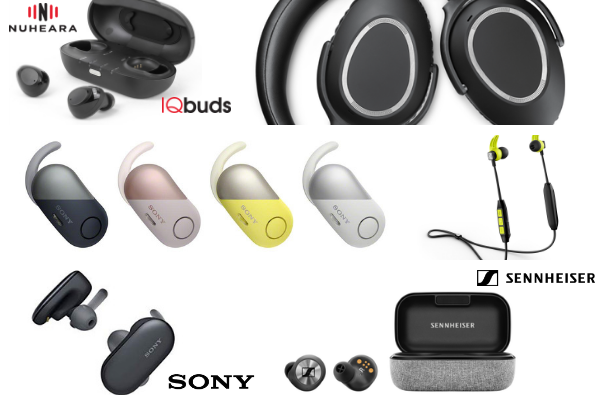 They position themselves as the “intelligent earbuds designed for every occasion” and they definitely deliver on sound quality, battery life and comfort. They also offer IQbuds BOOST with Ear ID. These innovative earbuds are hearing buds that learn and automatically adapt to your unique hearing profile. When you first sync with their mobile app they will run a hearing test that takes about 10 minutes, and this helps program their audio specifically to suit your hearing. Sennheiser offers two great over-ear headphones that are noise cancelling, wireless and provide exceptional sound quality. PXC 550 – this is their premium travel option. 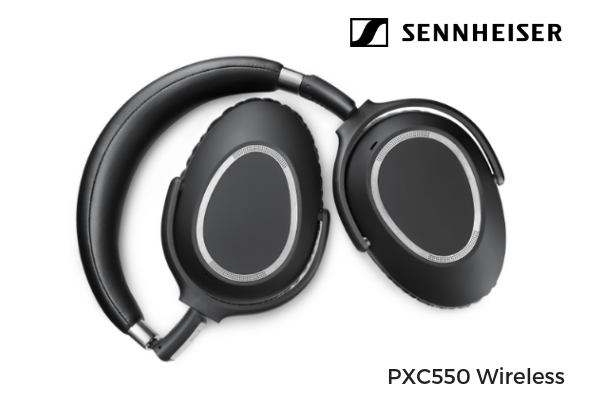 It is wireless and over-ear and features Sennheiser’s trademark high-quality sound and NoiseGard hybrid adaptive noise cancellation. There sleek foldable design is also a great space-saver. They boast up to 30 hours of battery life, which means that they will be outlasting my iPhone. The MOMENTUM Wireless – this is another over-ear wireless and noise-cancelling headphone, again being from the MOMENTUM family, it is focused on premium sound and style with high-quality materials. These are super stylish, the folded up nice and compact and I found them incredibly comfortable. As with all the Sennheiser headphones that I tried the sound quality was excellent. These headphones work both wirelesses with noise cancelling and can also be used with a headphone cable that enables you to switch off the noise cancelling feature. 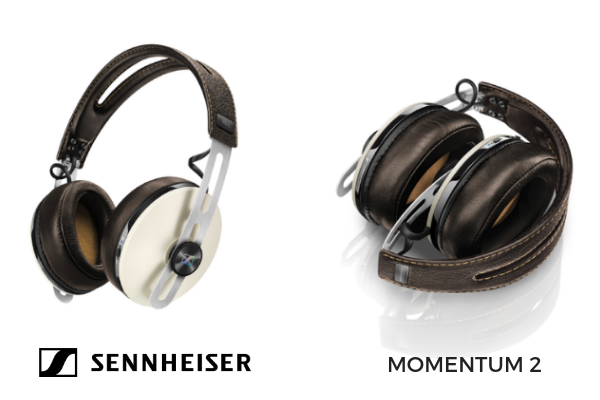 For more information on these headphones visit SENNHEISER website.